Discussion on the Risk and Prevention and Control Strategy of Secondary System Safety Protection in Large Hydropower Plant CHEN Jianlin;WANG Jiachen;SHI Haifeng;Yunnan Huadian Ahai Company;Yunnan Electric Power Technology Co. 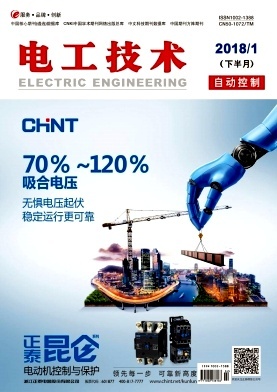 Improvement of Stop Excitation of Unitrol6800 Backup Channel HU Xuehai;Sanmen Nuclear Power Co.
Optimization Program of Signals in Power Network Monitoring System CAO Defa;Guangdong Power Grid Co.Ltd. MPPT Control Method for Photovoltaic Power Supply Based on Improved Variable-step hill-climbing Method ZHANG Qian;XU Ning;YE Ziqiang;DUAN Tianyuan;YU Zheyan;Zhoushan Power Supply Co.
Design and Research of Vehicle-mounted Mobile DC Emergency Power Supply Box XU Liangkai;Zhejiang Shintong Electric Manufacturing Co. Analysis of Excessive Voltage Drop in UVR Circuit of Reactor Trip System ZHANG Nengjie;Sanmen Nuclear Power Co.